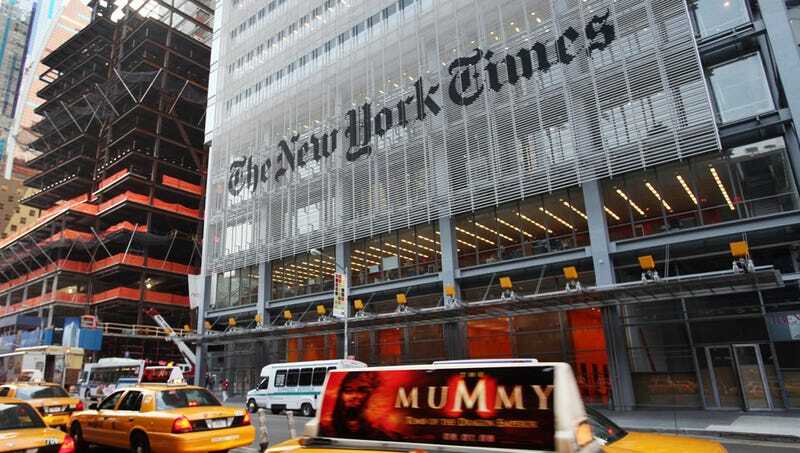 Claiming a concern for journalistic integrity, the New York Times announced today that they won't abolish the term "illegal immigrant" — although they cautioned their writers and reporters to use care with it. Philip B. Corbett, the associate managing editor for standards, wrote "illegal immigrant may be used to describe someone who enters, lives in or works in the United States without proper legal authorization. But be aware that in the debate over immigration, some people view it as loaded or offensive." Uh, ya think? Unauthorized is also an acceptable description, though it has a bureaucratic tone. Undocumented is the term preferred by many immigrants and their advocates, but it has a flavor of euphemism and should be used with caution outside quotations. Illegal immigration, because it describes the issue rather than an individual, is less likely than illegal immigrant to be seen as troubling. Take particular care in describing people whose immigration status is complex or subject to change – for example, young people brought to this country as children, many of whom are eligible for temporary reprieves from deportation under federal policies adopted in 2012. Do not use illegal as a noun, and avoid the sinister-sounding alien. I don't get it — you can maintain journalistic integrity with the term "undocumented immigrant". The use of the word "illegal" has a loaded and ugly history (and that very much includes the media), and it remains far from impartial. When people directly affected by a painful term tell you that your words are actively hurting them — and you can use other words to report accurately — it's time to let it go. The AP and USA Today have successfully changed their style, and it hasn't altered reporting — it's time for the New York Times to nix the antiquated, offensive term. Image via AP — THE MUMMY! !